"Dr. Jeremy Schwartz is a GREAT podiatrist. He has a superb bedside manner. " "Dr. Schwartz takes his time with his patients and does really good work. " 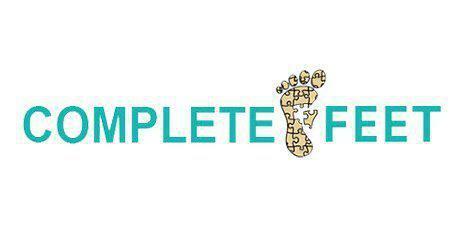 Visit Complete Feet Podiatry on 3118 N. Sheffield Ave. and see Dr. Schwartz for the treatment of all forms of foot pain. From toenail issues to chronic heel pain, Dr. Schwartz has the tools to treat any of your foot concerns. Find orthotics, health supplements, and foot creams in addition to quality podiatry care! Get treatment for foot conditions like heel pain, ingrown toenails, warts, sprains, and strains with advanced technology at Complete Feet. Dr. Jeremy Schwartz uses all treatments available including state-of-the art modalities for acute and chronic pain conditions. Ask about the laser therapy pain treatment. Dr. Jeremy Schwartz was born in Skokie, Illinois and currently resides with his family in the Lakeview neighborhood. When not treating patients he enjoys time with his family and exploring Chicago. Complete Feet opened in October 2014 to offer podiatry care to the greater Chicago community. Dr. Schwartz’s primary goal with Complete Feet is to develop a thriving medical practice with a comfortable “mom and pop” feel as is found in so many other small businesses in and around the Lakeview neighborhood. We accept all major insurance providers. For questions regarding your personal insurance provider, please feel free to call us at (773) 309-4335. "The office is nice, very clean and makes you comfortable. I highly recommend Dr. Schwartz for your podiatry needs."